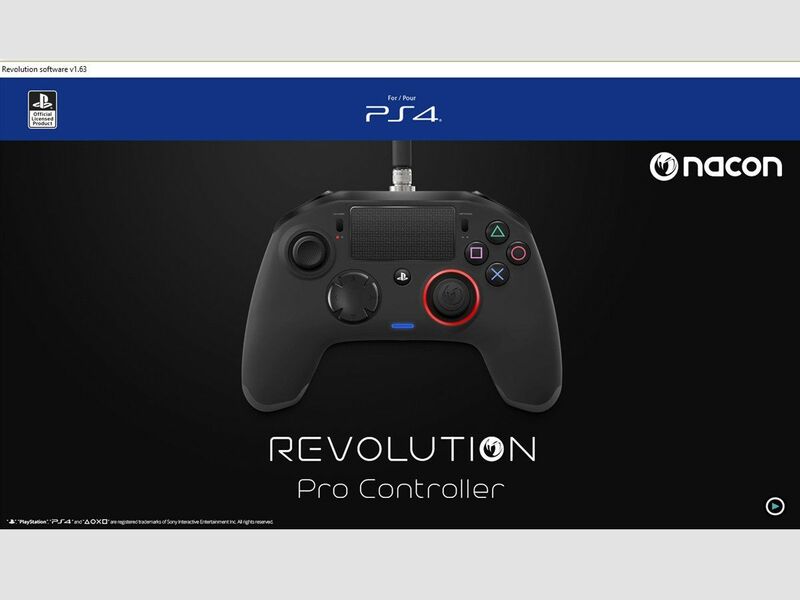 Here I would like to give my perspective on another gaming controller made as an alternative to Sony DualShock 4 standard pad since the corporation made it clear there won’t be an official pro controller with button remapping and paddles functionality of their own released. Presented to the market in late 2016 and officially licensed by Sony, the gadget comes with a great build quality and the package offered. 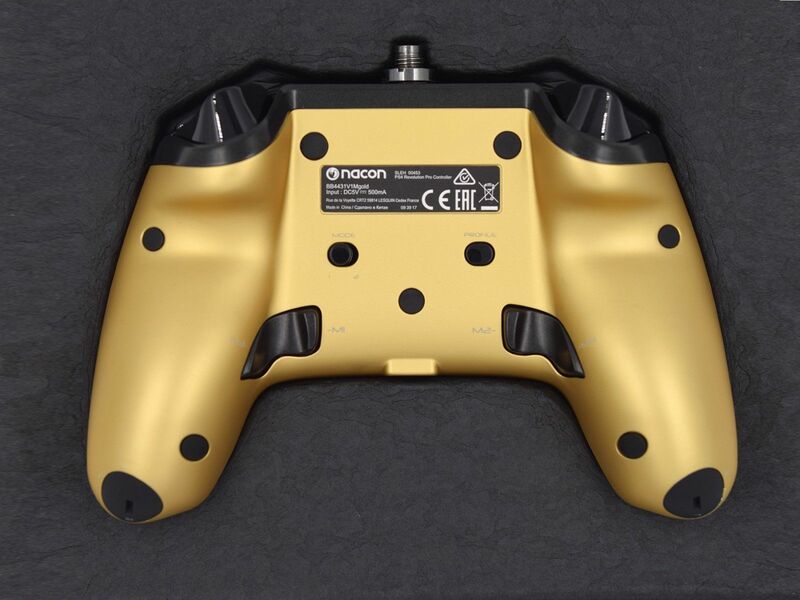 In a nutshell, Nacon is shaped more like Xbox One controller and is bigger than a standard DualShock 4 product. Featuring premium build materials such as matte rubber, it provides a more expensive overall look. 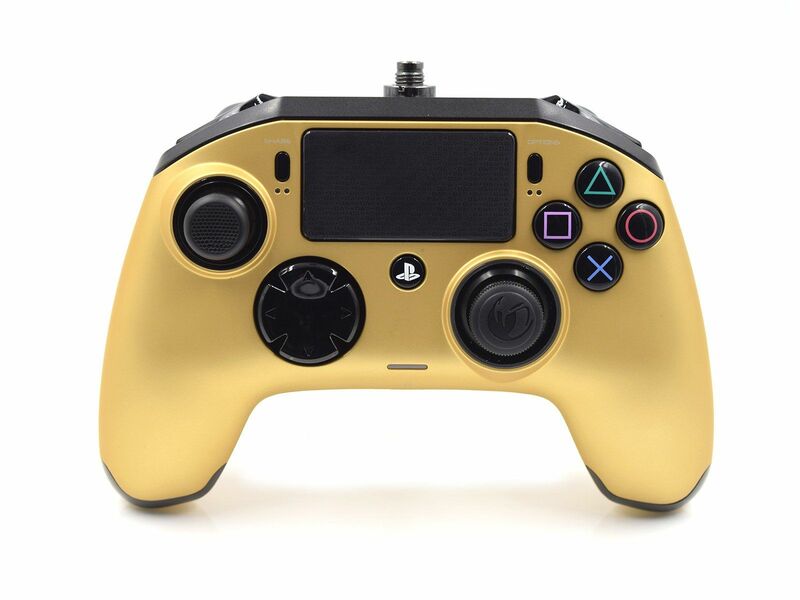 Being compatible with PC and all modifications of PS4 consoles, it offers a wired connectivity only which can be a downside for many gamers, however, the feature ensures a greater level of precision and responsiveness of the pad. 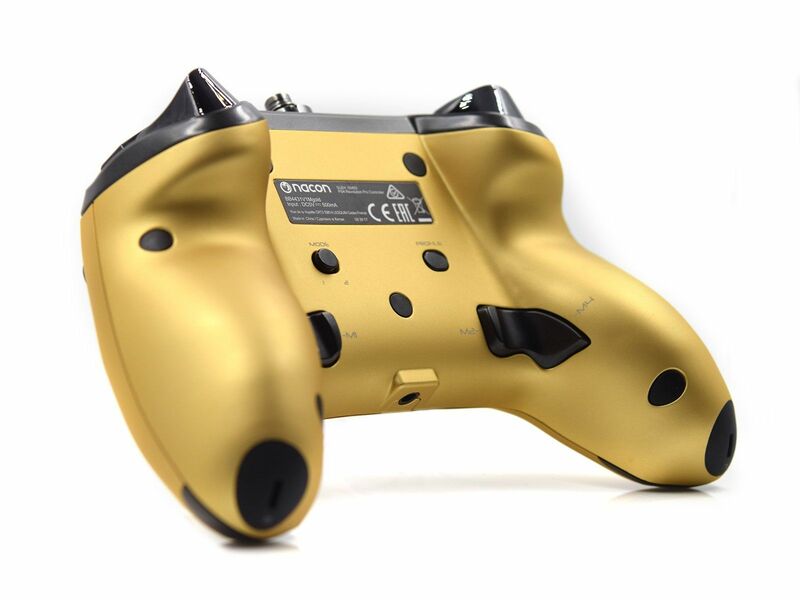 The standard Nacon controller comes in black color plus you are welcome to choose from up to six different body designs such as Gold, Red, Blue, Silver, Camo Green and Grey shells. 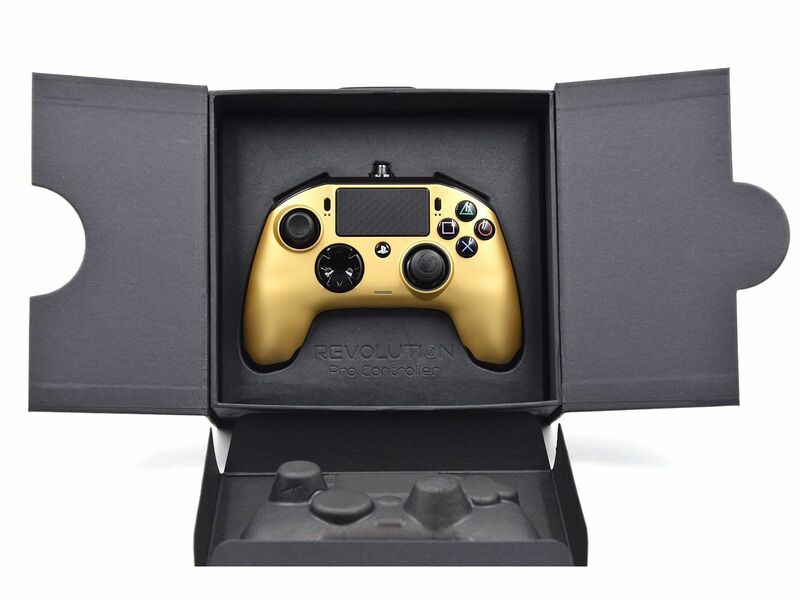 I went with NACON Revolution PRO Controller Gamepad Gold Edition as it delivers the combination of colors that exactly fits my taste. Let’s start straight with the packaging, as the design is how you make your first impression on consumers. Nacon got this part just right offering a great looking box and a nice cover molded around the controller. Once you get past the cover, you will find the product itself nicely sitting in the middle of the box, and underneath there is the instruction manual, a carrying pouch and a microfiber cloth to give some shine to the controller. A carrying pouch featuring the Nacon logo is made of fabric, but I personally would have preferred it to come with a hard shell case. Deeper down in the box there is a braided USB cable that screws into the top of the controller. 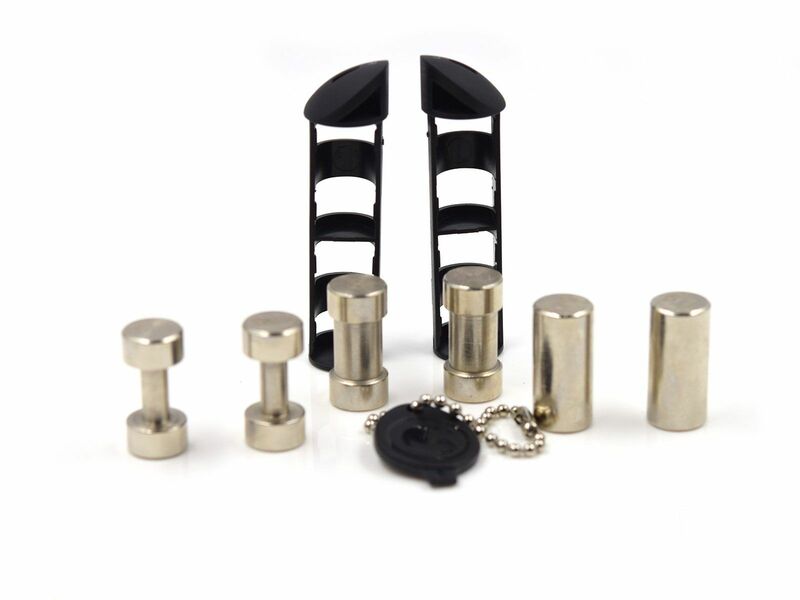 Lastly come the weights that allow you to adjust the weight of the controller by pop opening the base, taking out the plastic rails then loading it with the weights and popping them back inside. 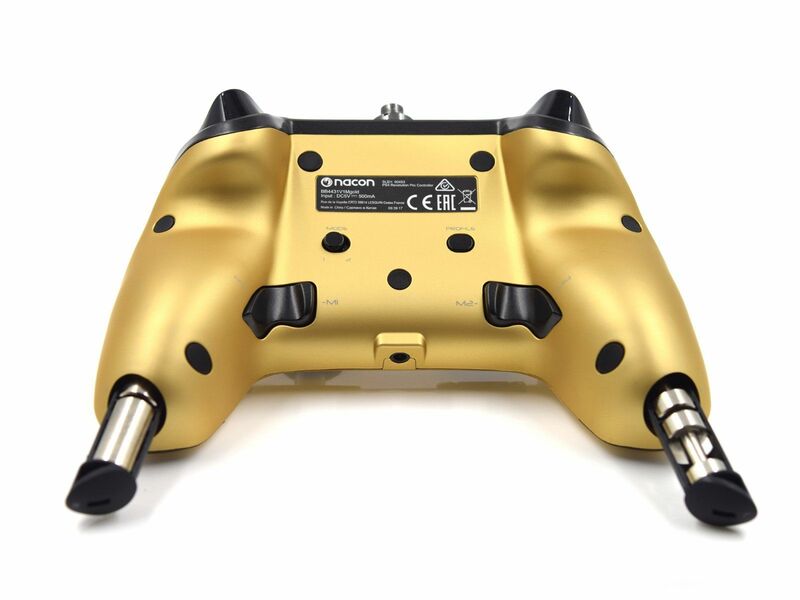 The Nacon Pro gamepad has its pros and cons much like any other controller out there. 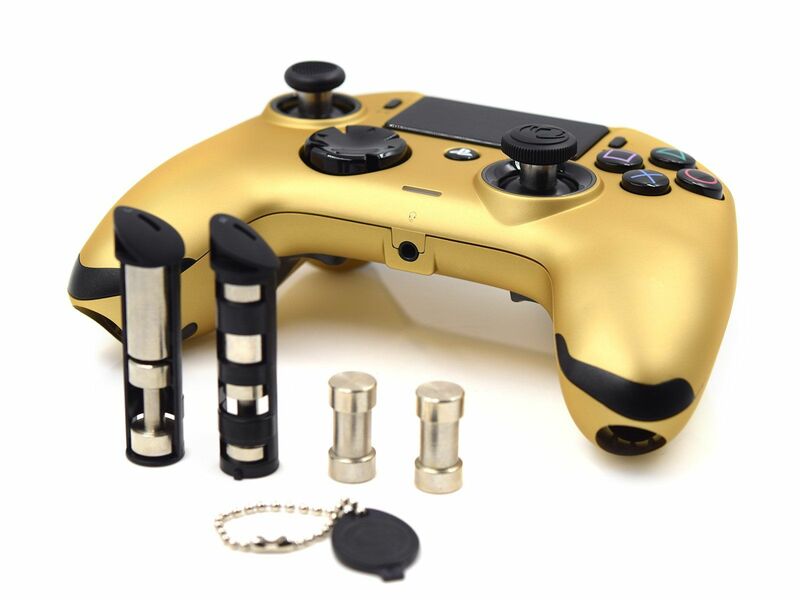 Generally, with pro controllers, you're getting extra programmable buttons or paddle system to help you input actions faster and have a better movement control as there is no need to take your thumb off the right and left sticks anymore. There's also a comfort component to how a controller feels during extended play sessions. 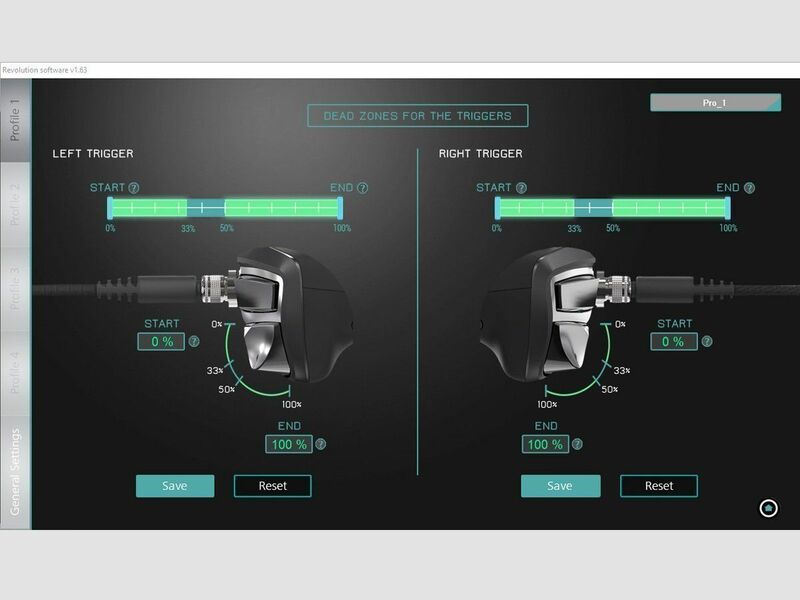 Nacon does not offer mechanical Hair Trigger mechanism, however, you can adjust triggers sensitivity in the App. 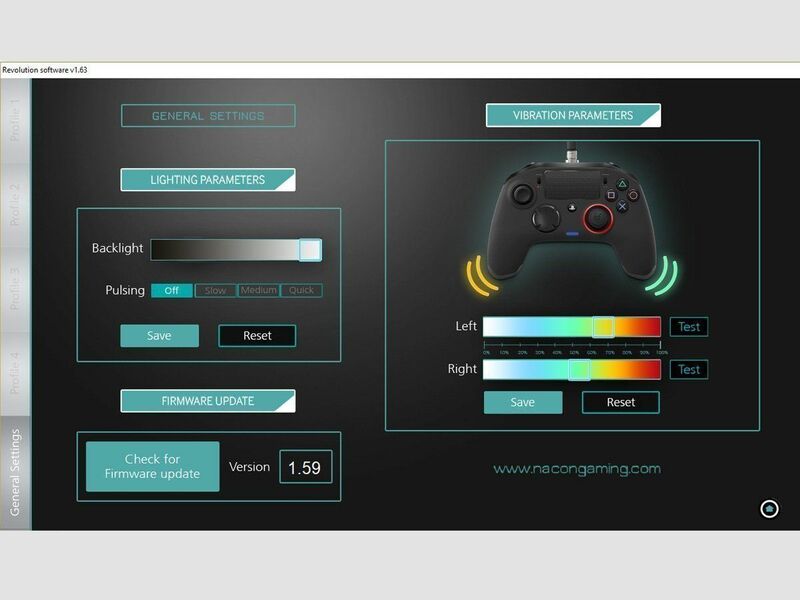 Let’s dig deeper to find out how Nacon Pro controller stuck up against rivals. The first thing you’ll notice about bumpers that they are actually quite long and also angled. I find it much more comfortable cause instead of going up and around them while executing the buttons presses, you are able to just hold the controller and rest your hands. There is no effort required to push them and same goes for the triggers. 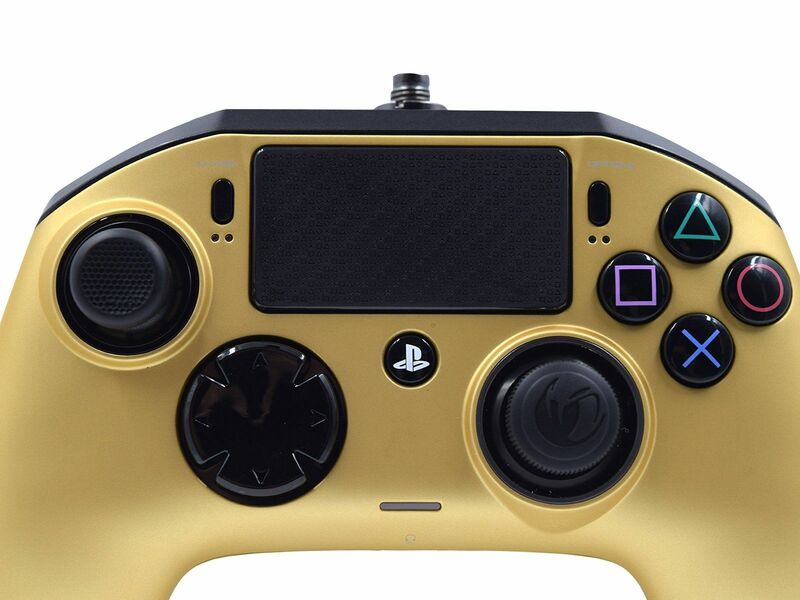 Although the triggers offer a fair amount of depth, you will get the same response with much less pressure when compared to the standard PlayStation 4 controller. Programmable four buttons embedded into the back of the joystick look like two buttons at first, but with a closer look, you’ll discover that there are four of them. What they do is allow you to remap them to serve as any stock buttons on the controller. The biggest flow, in my opinion, is their shape and the placement and Raiju’s Multi-Function Triggers definitely win this one. The D-pad features a concave shape and comes responsive in eight ways making a nice resting point for your thumb, however, it took me some time getting used to it, especially when playing fighting games. My solution was to remap the D-pad functions to the four customizable macro buttons and enjoy a more effective playing style. The operational buttons on the Nacon controller are much bigger when compared to a standard PS4 remote. 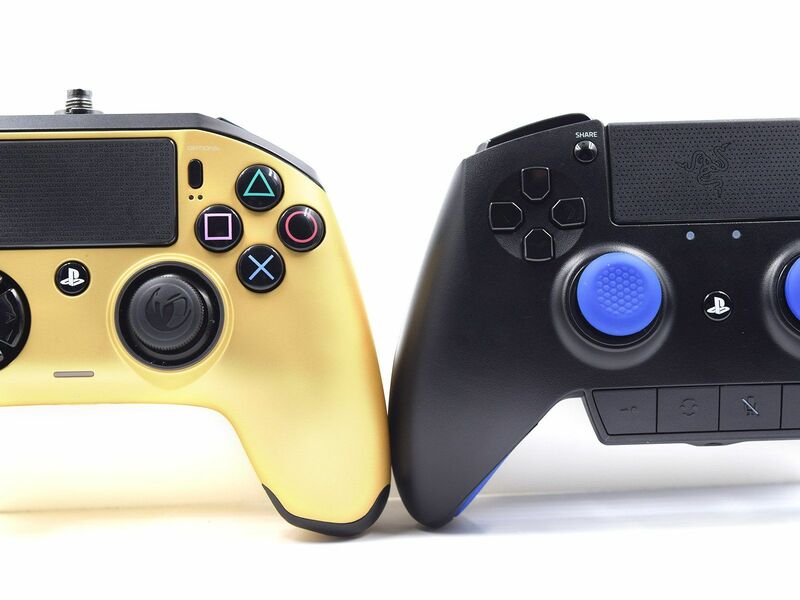 They are more elevated as well and come up higher of the base of the controller offering a greater travel distance which is completely opposite to Razer Raiju’s mechanical buttons. Which one is better? It comes down to one’s personal taste and my preference, in this case, goes to mechanical buttons. The thumbsticks on Nacon controller are a pretty big deal with the left stick being concave and easy to pound in certain directions with no resistance and decent accuracy plus the right one being convex and incredibly precise. 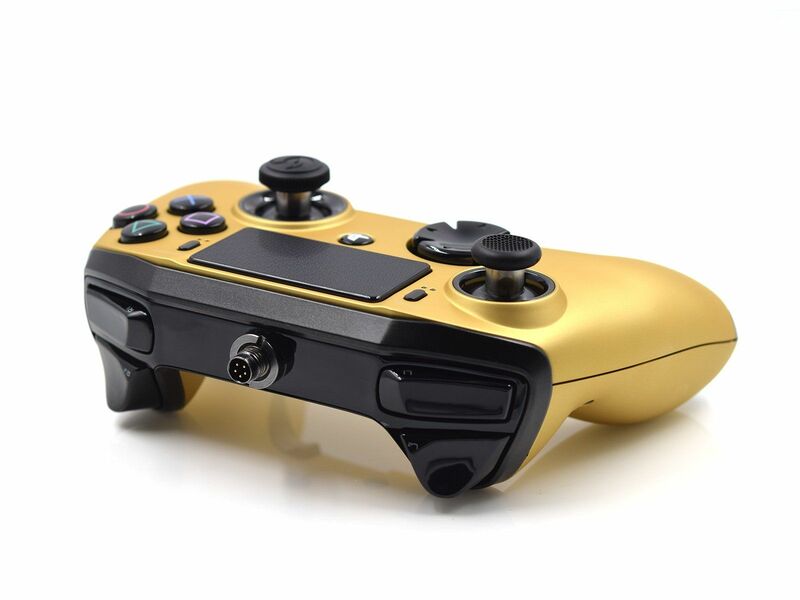 The high arch on the top of this analog stick gives you a greater control over your movements. 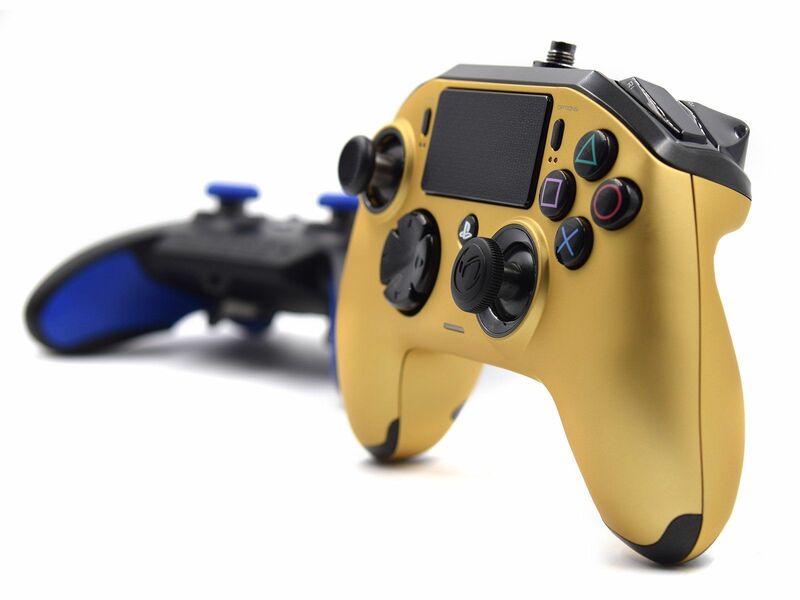 Nacon thumbsticks are slightly longer than sticks on the standard PS4 pad and come with increased angles of articulation and some metal in the base. 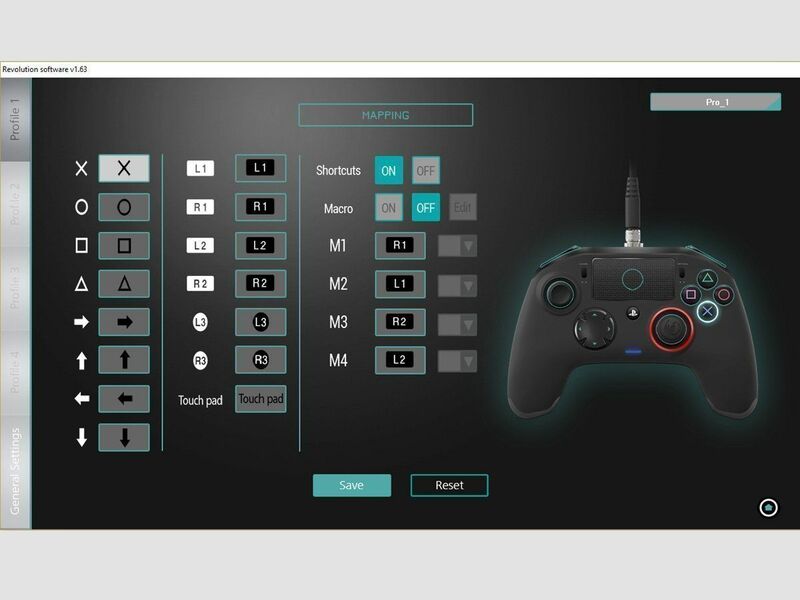 The Revolution PC app allows you to remap any button on the controller, select their sensitivity levels and program up to four different profiles. I can see how the interface may seem a bit complicated to those who are unfamiliar with customization apps or unsure of what a “dead zone” is. My advice is to set the largest dead zones possible and save to one profile while saving the smaller ones to another profile. While playing any FPS, switching between two profiles will give you a good understanding of what each setting does. The gaming genre matters and the settings that work great for one type of games may not necessarily fit for other video game kinds. 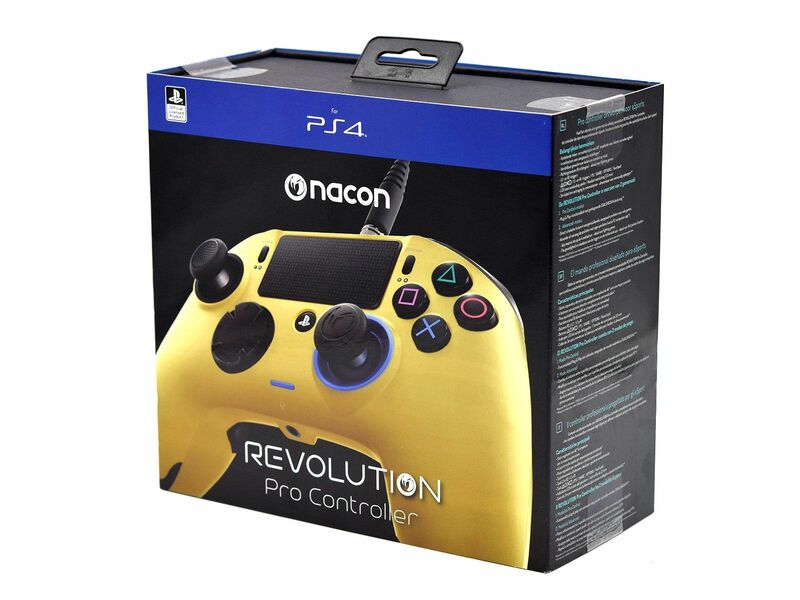 Nacon Revolution Pro Controller offers a variety of unquestionable improvements over a standard PS4 controller. 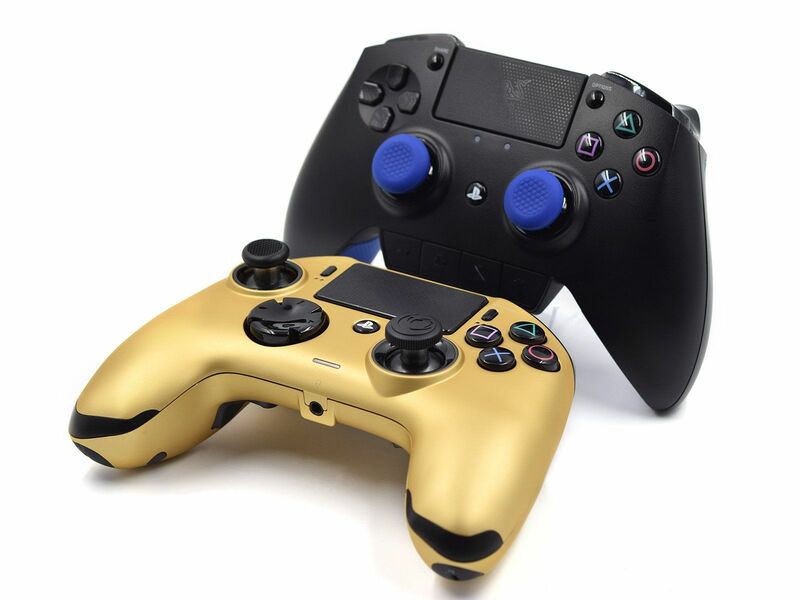 If you are shopping for an elite controller for PlayStation and PC, then you should definitely give Nacon a try. 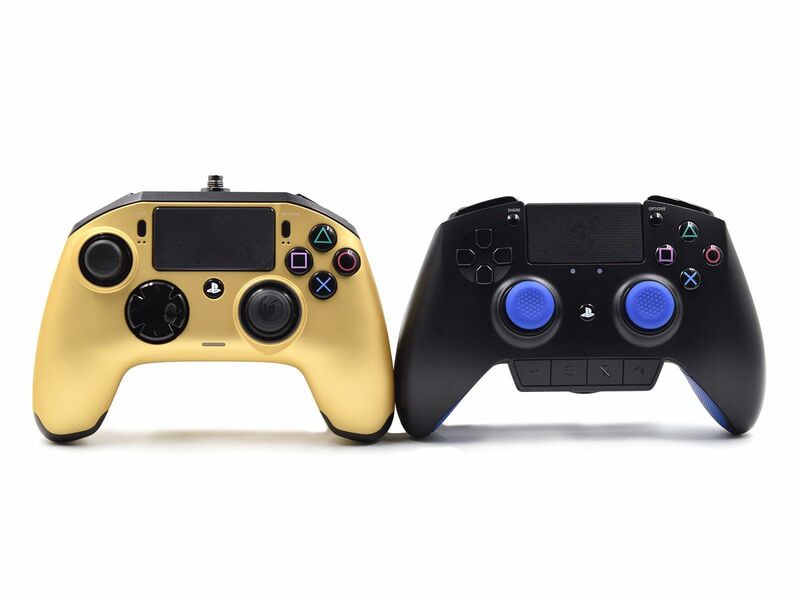 The closest competitor of the gaming pad is Razer Raiju controller and it is a tough decision to choose between the two. Wired connectivity only is offered by both products and I don’t see any issue with is as it offers maximum response time so if you’re serious about playing competitive games where fast reaction time is critical, you will only benefit from it. 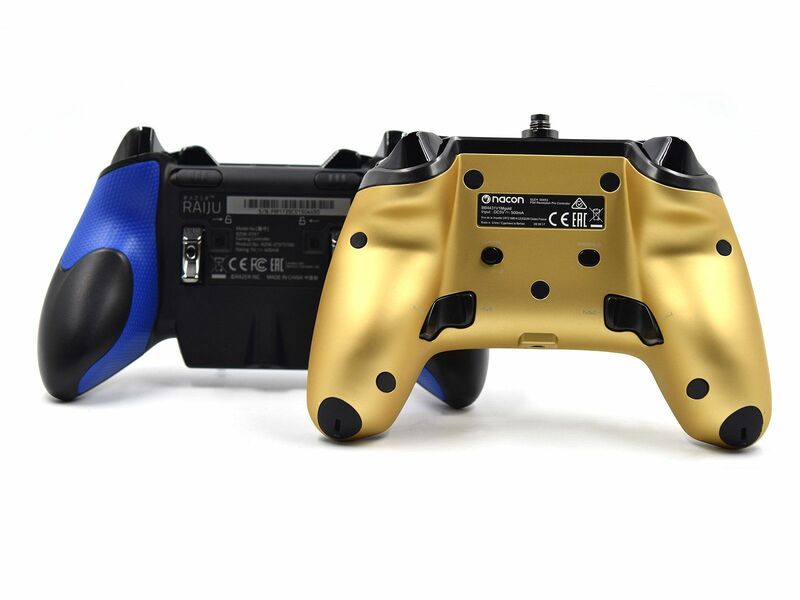 Nacon comes with a great customization app and is significantly cheaper that Raiju sitting between Standard Dualshock and Raiju price wise with the cost being around $90 depending on a retailer. On the other side, Razer offers more comfort and usability plus it features a panel of control buttons across the bottom allowing you to switch between two user profiles and reprogram your button mapping on the fly. 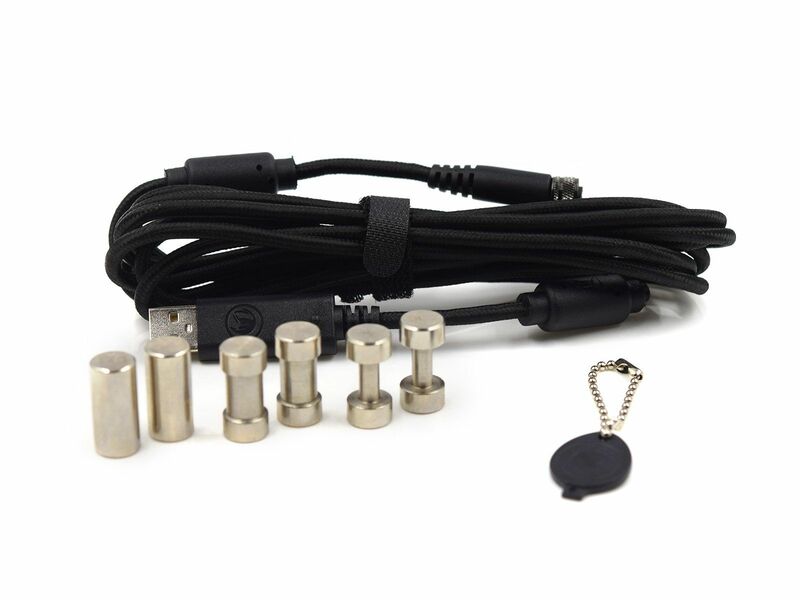 Hair-Trigger locks, offered by Razer pad, is another powerful feature that will be extremely useful for FPS gamers. Whether or not the Nacon controller is a good fit for you can only be determined with hands-on approach. Share your opinion and comments about either product and give the reasons why it works for you.